These dresses definitely fit under my 'Put your money into a down payment on a home ... here comes The Practical Bride' belief, except these are the perfect dresses for any bridesmaid or wedding attendee. Shoot ... even if there is no wedding occasion, these dresses are perfect. Brunch, tea ... any one? 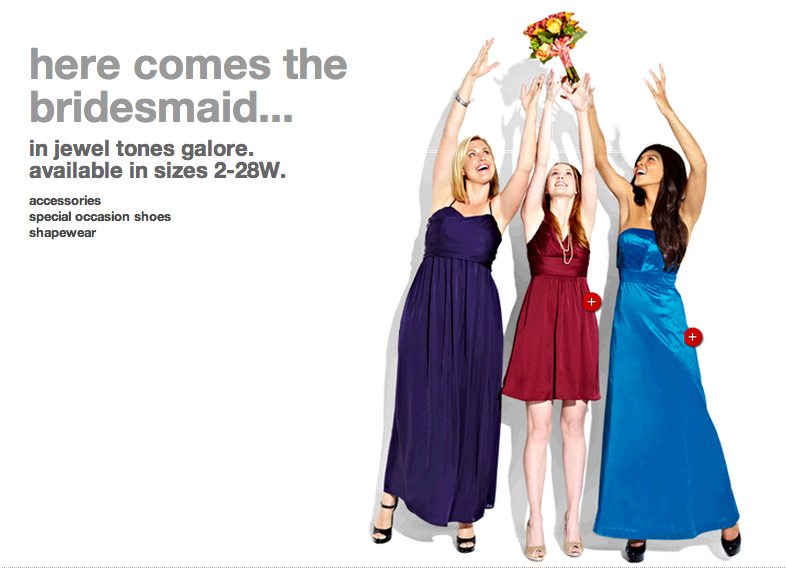 TARGET Plus Size Bridesmaids Dresses offers 44 dress options, from Size 2 to 28W. So we're ALL included. 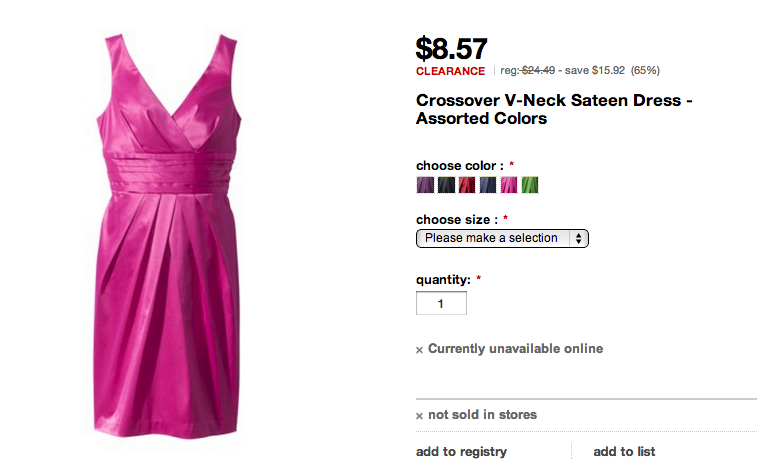 Most dresses offer 10 color ways too. This outfit is only $8.57 ... and no one has to know, especially if you consider yourself a fashionista. You see a simple and plain dress ... I see a blank canvas. You can create magic with this dress. Prices range between $8.57 to $129.99.